Musixmatch is a startup with a mission to catalog the lyrics, and be the best at it, world’s largest cataloger. With it’s existing database and help of Musixmatch’s Chrome extension, you can watch the lyrics of the song you are playing on YouTube without any searching but with one catch, the lyrics only appear on official video(s) uploads. 1. Go to Chrome web store an search for Musixmatch, or simple click on the above download link and click on “FREE (ADD TO CHROME)“. 3. Now, a Musixmatch icon with message pop up appears at upper right corner of browser, indicating that the extension has successfully integrated with the Chrome. 1. After successful installation, you will be redirected to Musixmatch Intro page. 2. Now, let the music video roll on YouTube. Musixmatch: YouTube Music Video with Lyrics. 2. Now, un-tick the Musixmatch to temporarily disable the extension. Click on the dustbin icon and you will be greeted with pop-up, click “Remove” to remove the extension from Google Chrome. 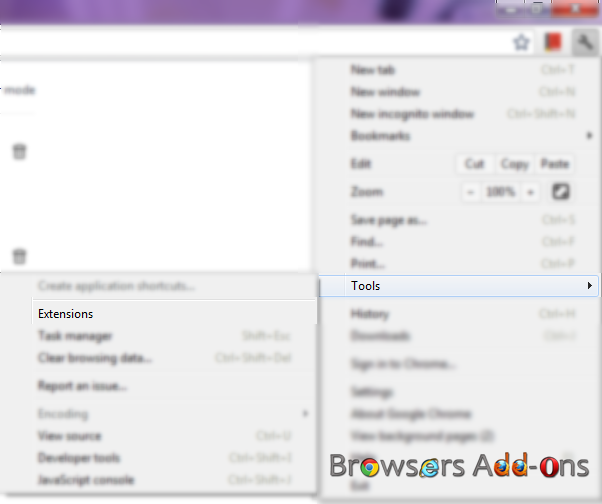 How To See And List All The Google Chrome’s Secret Pages. Next story Clear Cache on Google Chrome with One Click with an Extension. Online shopping on eBay made easy by eBay Sidebar addon for Mozilla Firefox. Turn Google Chrome Speed Dial into iOS 7 User Interface.